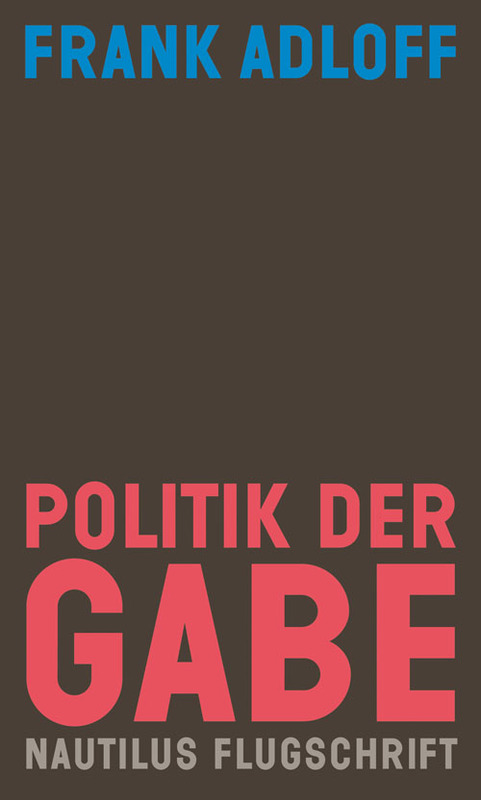 Frank Adloff’s »Politik der Gabe« (»Politics of the Gift«) selected for New Books in German and thus for translation funding by Goethe-Institut! An English sample translation will be available soon, the NBG-Catalogue will be published in early March 2019, in time for London Book Fair. Early birds can order (German) reading copies of the book at any time! Can we really say that living together rests on a cost-benefit ratio? Is everyone pursuing only his or her own interests and does capitalism really have the final say in history? Or aren’t we, rather, thoroughly sharing and giving beings? Frank Adloff advocates for new kinds of conviviality, based on the writings of French anthropologist and sociologist Marcel Mauss. Adloff demonstrates that every human being is essentially a giver and that only the gift can create confidence and sociality. Thus, giving is the basis of any society. He shows that the gift is crucial for rethinking fundamental questions of philosophy, politics, sociology, culture and economics. In his vision for a convivial economy and society, he considers the role of political experiments in civil society as well as sustainable and cooperative conceptions of nature. Convivality aims for solidarity and self-limitation; it is an alternative to profit seeking, exhausting economic growth and excessive consumption. Therefore, Adloff presents the concept of homo donator instead of homo economicus. Yes, humans are able to cooperate for the well-being of everyone, if only the capitalist logic of utility maximization can be overcome. Frank Adloff is a professor of sociology at Hamburg University. His research focuses on social theory, gift and conviviality, civil society, post-growth and sustainability. He has published most recently Gifts of Cooperation, Mauss and Pragmatism with Routledge (2016) and co-edited the German publication of the French Manifeste convivialiste (2014) as well as the anthology Konvivialismus. Eine Debatte (2015).